My Dad turned 84 last Friday and I drove up to Show Low, AZ to celebrate with him. It turned out that all four siblings were able to be there at one time, as we’re all living in Arizona right now. 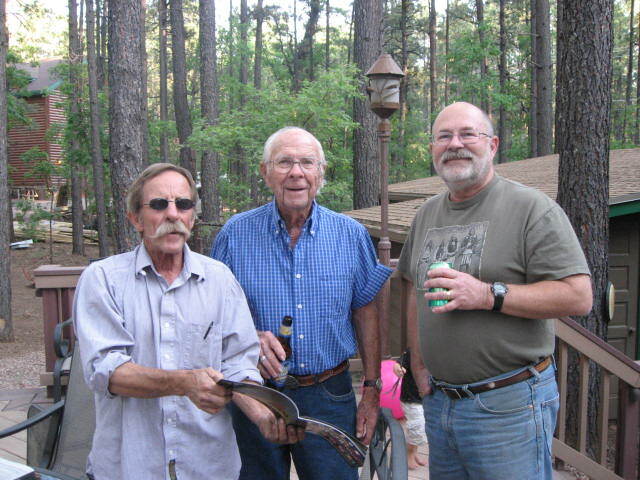 My “tall” brother, Terry, is a radiologist in Scottsdale and has a cabin in Pinetop. He’s the brain of the family. My other brother, Scott, lives in Tucson and has been restoring a bunch of vintage neon signs in the city. He got most of the athletic ability. 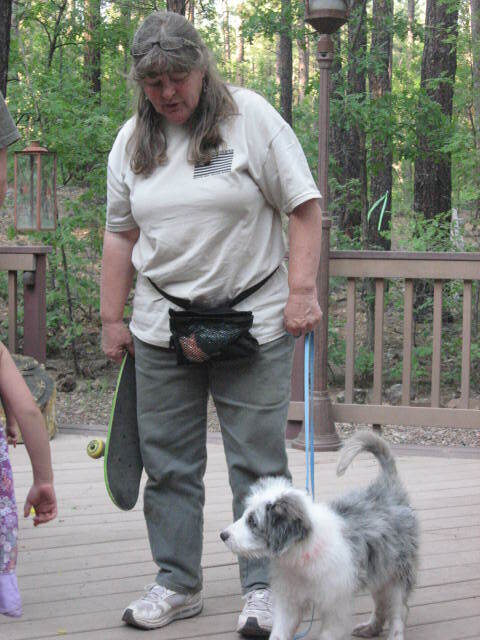 My sister, Karen, owns a dog kennel outside of Snowflake, and trains dogs in obedience, agility, and dancing! She’s also an incredibly talented artist. I guess I’m a hodgepodge of all of them. But…I’m the one that spent time in my Dad’s workshop creating something together on his birthday. Guess I’m special after all! ~ by Dawn Elliott on June 7, 2012. Wow. I didn’t expect that. Seeing this made me miss my dad. Bad. 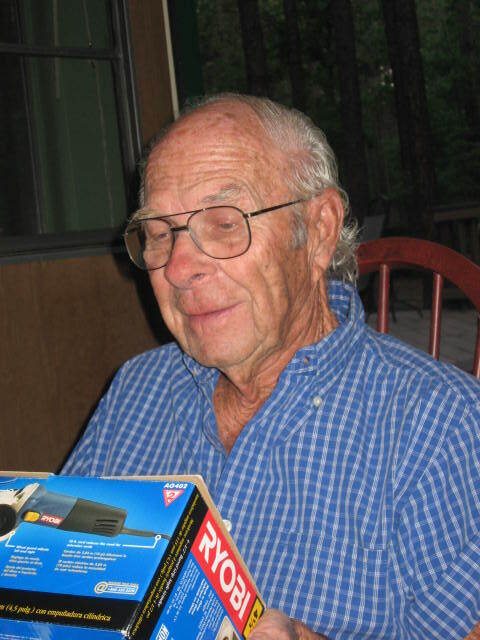 I lost him 11 years ago to cancer. Treasure every single moment you have with your dad, Dawn. Yeah, I know. Preaching to the choir. Your dad has a great smile. Your father is very talented with wood, and the haiku captures very well the essence of your love and appreciation. I enjoyed viewing the other photos of your family as well. What a great post! I think we all like to think we’re the favorite. As a dad, I like to make them think that they are as well. Nice photos. Seems like it worked out to have all the siblings gather at the same time. I also like seeing you and putting a face with the name. how lovely to celebrate your fathers 84th birthday! Thanks for letting us in on your dad’s birthday celebration. You have a wonderful, interesting family!! It is nice seeing a photo of you too, because I “know” all these bloggers, but I do not know what a lot of them look like!! you have an impish grin on your face dawn! lovely to see you all together and so glad your dad is looking so great in his levis surrounded by his great kids. you know those June babies are especially fetching! What a great celebration…you are all gifted, in your own ways. 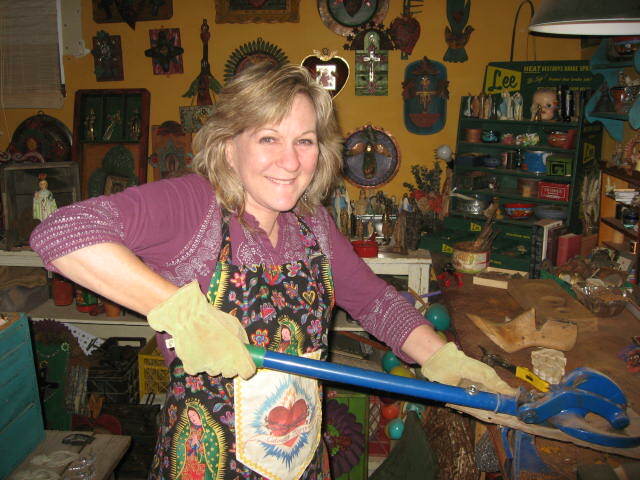 The photo of you in your workshop is terrific- you look so joyous, doing what you love. so lovely to see pics of family – that’s all I have left of mine…..moving haiku…. What a blessing to have your family all gathered together! a glimpse into your family that tells so much about each of you, each with their special talents. i enjoyed taking this journey with you today. Thanks for introducing your family, what interesting roles you all have, It sounds like Skippy would have a lot of fun at your sisters place, what cool art you made for your dad and a great father daughter time haiku! 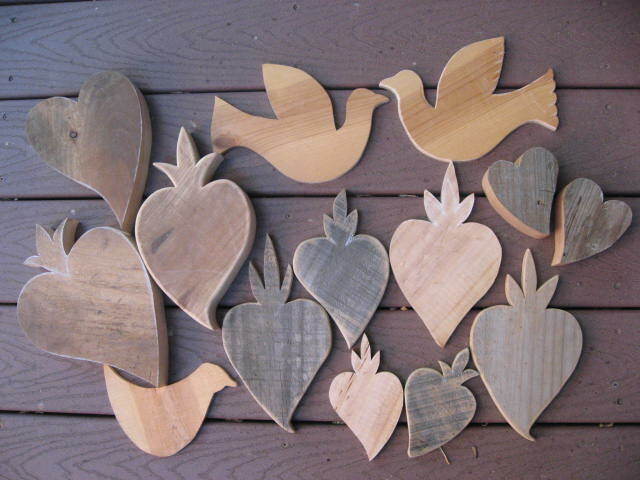 I like the idea of honoring wood! Aw, loved your tribute haiku to father daughter time and seeing your photos, too. A beautiful family! Of course you are special! And so is your father, and family. What a lovely tribute! Wow!! I never would have recognized your brothers. Your Dad looks the same just a tad older than when we saw him last. We sure enjoyed your family when we were neighbors and when I tried to help when they built their house on Haley Road. Whow that was so long ago!! !